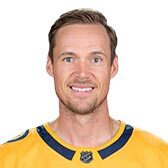 Pekka Rinne is 6' 5 and weighs 204 pounds. He is currently 36.5 years old. Has agreed to a two-year contract extension.